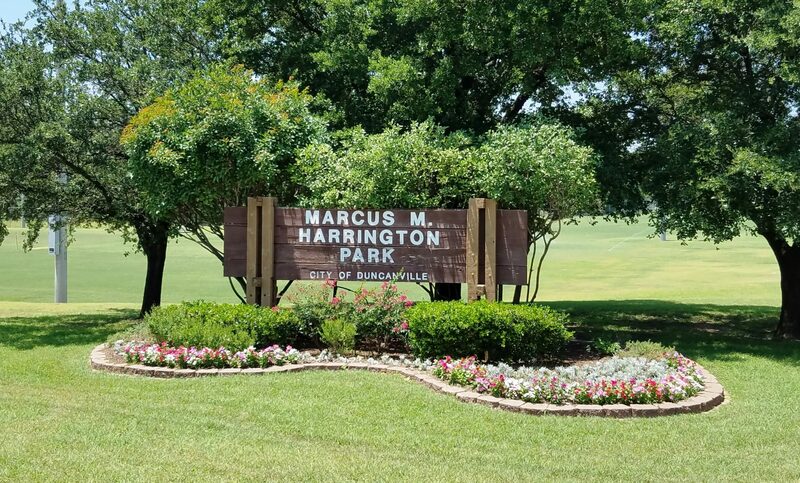 The Duncanville Parks and Recreation Advisory Board will be seeking public input regarding the idea of gating Harrington Park at its entrances on Cockrell Hill Road and Highgate Drive to limit access to the park during after-hours. The discussion will held at the Parks and Recreation Advisory Board regularly scheduled meeting on February 13, 2017 in the meeting rooms at the Duncanville Recreation Center, 201 James Collins Blvd., starting at 6:30 pm. Persons interested in providing input but are unable to attend the meeting can email Bart Stevenson, Director of Parks and Recreation, at bstevenson@ ci.duncanville.tx.us, or call the Parks and Recreation Department at 972- 780-4972. Input obtained via email will be shared with the Board, and the Board will make a recommendation to the City Council on this matter following public input and discussion.